Do you wish to travel but donâ��t want to go through the hassles of finding accommodation, booking tickets, etc.? Would you like professional help to ensure that you are getting the best deal? Do you wish to have a professional hand that can plan your travel itineraries as per you budget and other requirements? If the answer to any of these questions is yes, then Travel Zone is the right place for you. Ours is a travel agency, involved in serving visitors, business and leisure travelers with exemplary travel services. Our motto is "Your best travel bargain is a good travel agent," and we pride ourselves in rendering all sorts of travel services resulting contented and repeated clientele.  Travel Zone is a Siliguri (West Bengal, India) based tour & travel agency, active in the realm of travel since 2013. Our trade operations are governed by Mr. Ajay Gupta, who is serving the company as its CEO. For him, honesty and timeliness are the few attributes for a successfully business.